With Mother’s Day being just a couple weeks away, it’s time to start thinking about those gifts if you haven’t bought some already! I’m sharing a hybrid style post today where I’ll be highlighting two spring looks + some great gift ideas for the upcoming holiday. 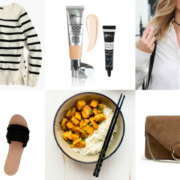 JCPenney has hundreds of perfect gifts no matter what your budget is & I love that you don’t have to spend a fortune to find something special – you can explore them all by price range here. And thanks to their everyday low prices, while you’re shopping for mom, you can pick up a few things for yourself too! I have a hard time resisting pretty much anything in eyelet this time of year. 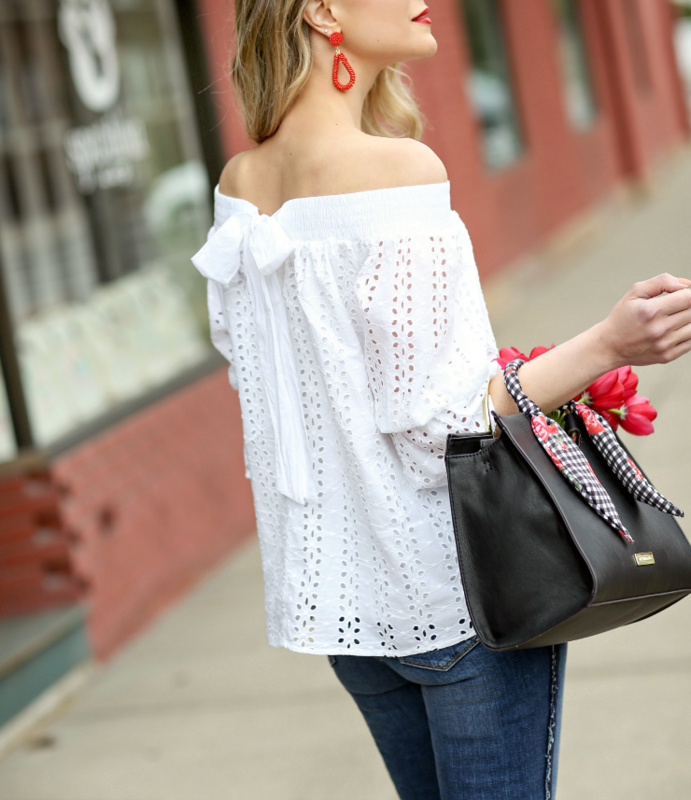 This off-the-shoulder top has the prettiest bow detail in back & is fully lined (which is hard to find in eyelet styles). I took some photos with it up on the shoulder so you could see that you can wear it both ways! I love the shorter sleeve length & the way these colorful earrings really pop against the crisp white. I also can’t say enough good things about this brand of jeans – this is my third pair & the fit is just so good (just be sure to go down one size). 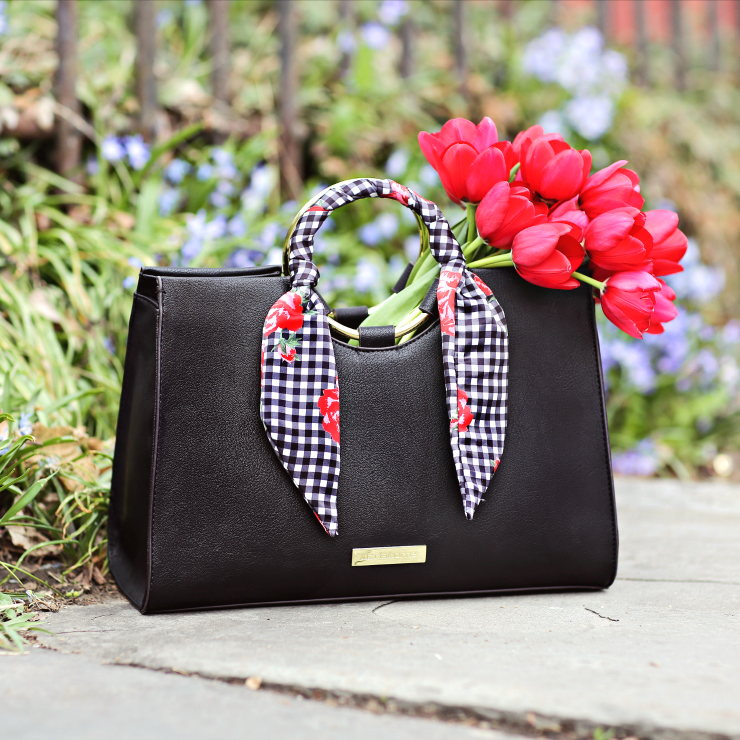 Who doesn’t love getting a new handbag for the season? 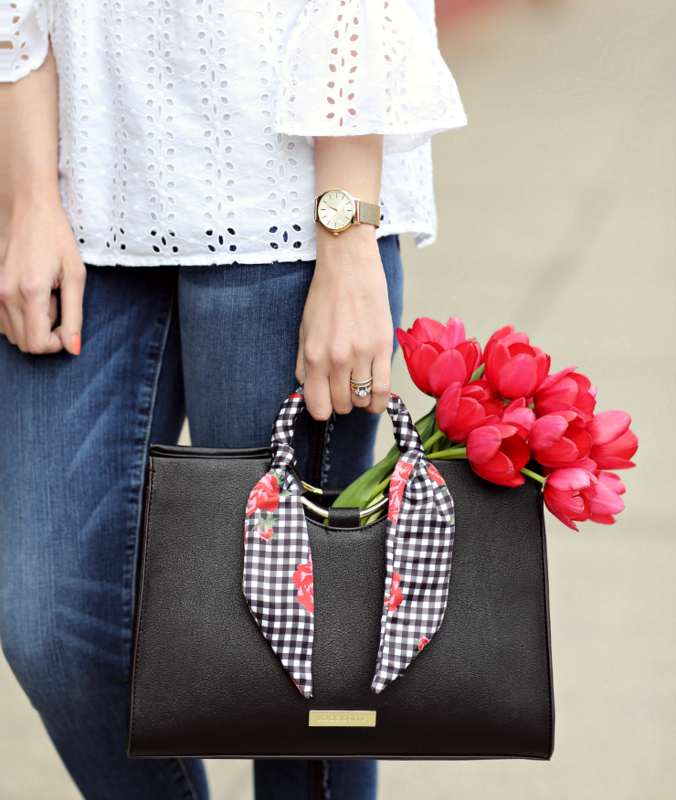 I love the ring handle on this one and that it has a stylish scarf built right in! The size is just right for everyday & there’s a longer strap to convert it to a hands-free crossbody. Other bags that would make great gifts include this scalloped tote, this straw bag & this structured satchel. This gold watch is so chic & timeless and, thanks to the mesh strap, she won’t have to take it in to have links added or removed – she can put it on as soon as she opens it! This also comes in silver and they also have leather strap options in black & grey. You may not think of a sleep mask as a necessary beauty item but it’s an excellent gift for someone who travels frequently. I have one that I use on long flights or when I need to nap & it’s still light outside. I also love their silk pillowcases – I converted to these last year & they are all I use now. Other items that would make great gifts include this life-changing hair towel & this bathtub caddy (I own & love them both!). This embroidered top is such a fun summery piece & the special details make it look much more expensive. This would be great with a denim skirt or flowy shorts. 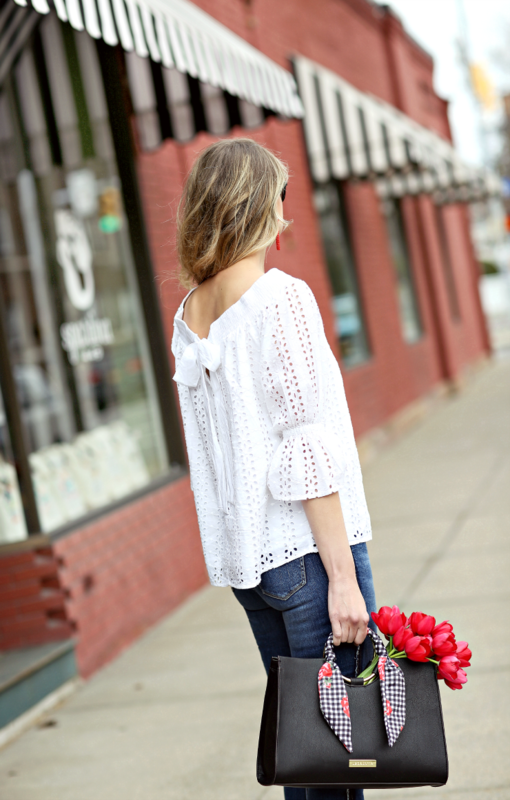 I found so many cute tops when I was shopping in store like this crochet-trim tee, this scalloped shirt & this puff sleeve top. These are the types of pieces you can just throw on with your favorite jeans & sandals and instantly look like you put effort into your outfit – see more of my favorites below! 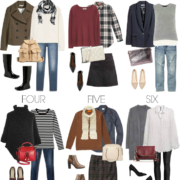 Thank you to JCPenney & ShopStyle for kindly sponsoring this post. All opinions are 100% honest & all items were hand-selected by me.